Edmonton Valley Zoo is Canada’s northern-most zoo at 53° North latitude. With a long, cold winter and high energy costs, the Master Plan called for creating a more sustainable strategy for exhibits and experiences. 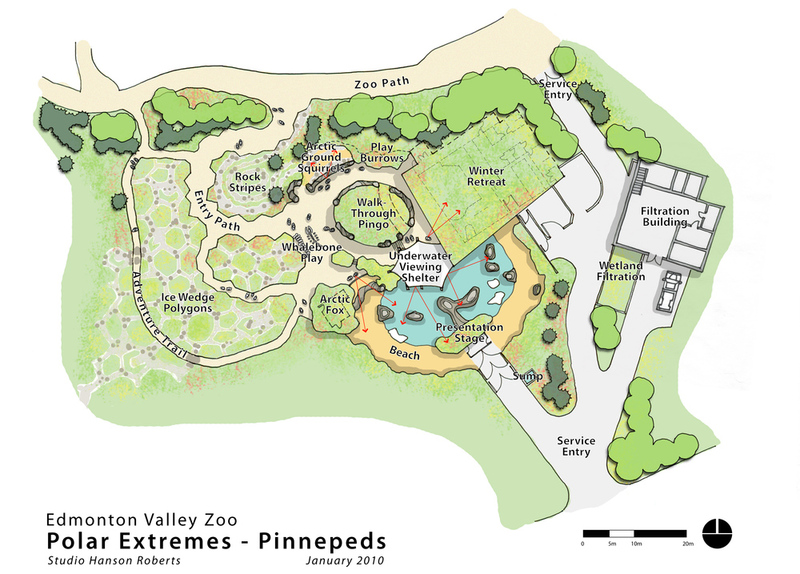 This included refocusing the Zoo on working with animals adaptable to Edmonton’s climate, and limiting heated indoor space for visitors while maximizing radiant-heated shelters close to year-round experiences with active animals. The “Arctic Shores” exhibit was the first exhibit funded under the new Master Plan. The “Arctic Shores” habitat is the initial phase of the envisioned “Polar Extremes” exhibit complex that will highlight species from both polar regions. environment that allows them to effortlessly move indoors and out, choosing their own comfort level and hibernation times. 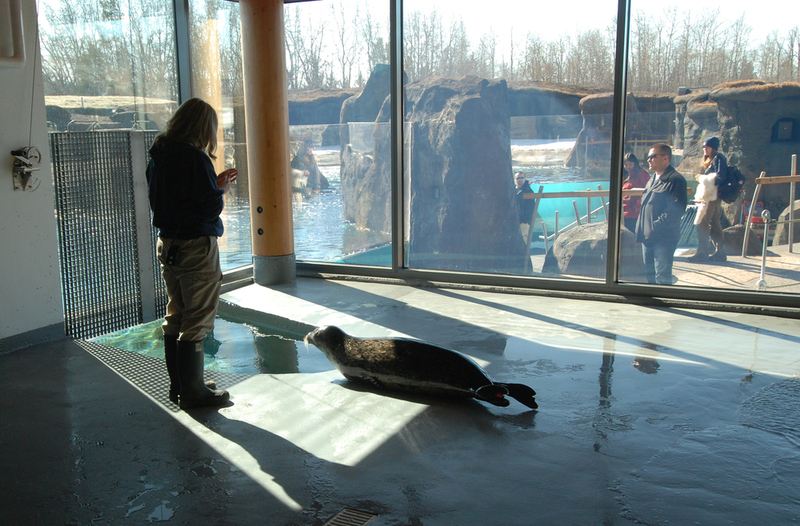 Visitors will be able to participate in training activities with the pinnipeds via a sliding door in the adjacent on-view holding building, and learn about how the Zoo cares for its animals. Additional cultural interpretation provides play and learning opportunities that give visitors insight into making a living in the North.